Headaches, including migraines, are something we have all experienced at one time or another. On average, over 47 million people will suffer from a headache in a three-month period, and nine percent of the population suffers from migraines. Most will take some kind of over-the-counter pain relief for them, and others will have a prescription if their headaches and migraines are resistant to ibuprofen, acetaminophen, and naproxen. It is, however, possible to get rid of a headache naturally*. Want to know how to reduce a headache, but without the use of medications or pain relievers? Below are a few ways. 1. Hydrate: The very first thing to consider when a headache is coming on is how much water you have consumed, because dehydration causes headaches. As soon as you feel a headache coming on, drink a glass of water. Sports drinks are a good option as well because they contain electrolytes. 2. Turn to Peppermint: Peppermint is known to reduce tension and stress, and often headaches are a result of both. To help ease your headache, you can drink a cup of peppermint tea, place a few drops of peppermint in a diffuser and breathe in the mist, or place a few drops of peppermint oil (cut with a carrier oil like jojoba or almond) and rub on your temples. 3. Use Lavender Oil: Lavender oil is used to ease headache and has been for centuries. It’s often used in products meant to help people fall asleep because it’s a powerful relaxant. Lavender oil is gentle enough that it can be placed directly on the temples to help ease headaches. You can also place it on your wrists and breathe in the scent every few minutes. Diffusing the oil into the air is another great option, especially at night. 4. Look at Your Diet: Diet plays a large part in how we feel, including how and when we get headaches. Many foods are loaded with MSG and other flavor-enhancing chemicals, and some people are sensitive to them—that sensitivity can often present as a headache or migraine. Pay attention to foods eaten before a headache comes on; items like peanut butter, wine and chocolate are common triggers. 5. Try Some Ginger: Ginger root can ease many ailments including nausea, gas, and headaches. The root has anti-inflammatory properties that helps ease headaches and, more importantly, relaxes blood vessels in the head, allowing blood to flow more freely. Grate some of the root and add hot water and a teaspoon of honey for taste. Let it stand for 10 to 15 minutes, then drink. Getting rid of a headache naturally is possible, and there are many options available including sleep, massage treatments, and aromatherapy, which uses oils such as peppermint, basil, and lavender. Sometimes taking a nap and drinking water are good go-to treatments to try first when attempting to ease headache pain. Failing that, work your way through the list above and see if altering your diet or drinking ginger tea help. Try them all and see which ones work best for you. “13 Surprising Ways to Fight Headache Pain,” Health web site; http://www.health.com/health/gallery/0,,20538298,00.html, last accessed February 26, 2016. “How to Get Rid of a Headache Fast,” Top 10 Home Remedies web site; http://www.top10homeremedies.com/how-to/how-to-get-rid-of-a-headache-fast.html, last accessed February 26, 2016. “How to Get Rid of a Headache Fast,” Top 10 Home Remedies web site; http://www.top10homeremedies.com/how-to/how-to-get-rid-of-a-headache-fast.html/2, last accessed February 26, 2016. 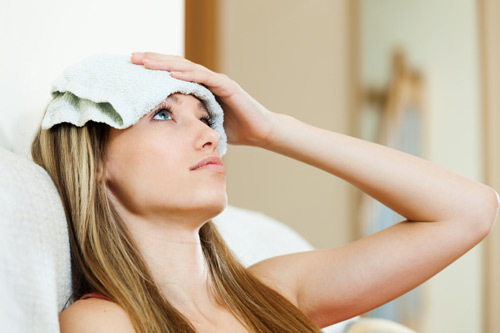 “Home Remedies for Headache Treatment,” Everyday Health web site; http://www.everydayhealth.com/headache-migraine-pictures/8-home-remedies-for-headaches-and-migraines.aspx, last accessed February 26, 2016.